Brette has cast over 40 independent films, 100 commercials, 100 plays, several television and new media projects and was the resident casting director at Washington, DC's Folger Elizabethan Theatre for ten seasons. Films Brette has cast have won awards and been official selections at most of the major film festivals, including Sundance, Tribeca and Cannes. 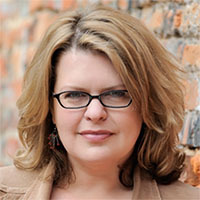 Brette is the former Co-Producing Director of Washington Jewish Theatre, Production Manager at Washington Shakespeare Co. and Associate Producer of the Washington Theatre Festival. Brette teaches audition technique at various NYC studios and several universities and has done some serious damage at the craft services table in brief stints as on-set coach.